With a looming election and faltering economy, newspapers in Australia are rife with exasperate, dramatic headlines, instilling fear and negativity into the households of Australia. On Monday August 5, the first day of election campaigning, Sydney newspaper The Daily Telegraph ran a front-page article with the headline “Finally you now have the chance to KICK THIS MOB OUT” accompanied by a picture of Kevin Rudd. This now infamous moment in Australian political journalism has lead to an outcry of opinion pieces quick to blame Murdoch, the journalists involved, News Limited, and the list goes on. 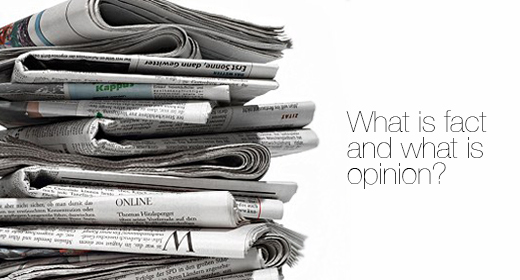 While it is the media’s job to portray news and current affairs consistently and factually to the public, lately the line has become blurred between what is fact and what is opinion. 1. Report and interpret honestly, striving for accuracy, fairness and disclosure of all essential facts. Do not suppress relevant available facts, or give distorting emphasis. 2. Disclose conflicts of interest that affect, or could be seen to affect, the accuracy, fairness or independence of your journalism. Do not improperly use a journalistic position for personal gain. Log on to your online newspaper of choice and readers are confronted with the question – is Murdoch abusing his power by clearly influencing the content of his News Limited publications? Some say yes, Murdoch’s control of over 65% of all newspaper circulation in Australia is a gross abuse of power, and should not be allowed – particularly with an election in the wings and an obvious political agenda on the cards. However others fairly state that in a democratic country, readers are free and able to make up their own minds. Do we really believe everything the media presents us? I’d be interested to hear your thoughts – do you think the above is an abuse of the media’s power, or do you take everything you read with a grain of salt? The power of social media in Turkey. In a recent blog post, we discussed the current state of the journalism industry in Australia, whereby freedom of press was being challenged and comprised. A current talking point regarding freedom of the press surrounds the state of the media in Turkey. Stemming from a peaceful protest in Istanbul’s Gezi park and the police brutality that occurred as a result of the protest, locals were shocked that there was absolutely no media that covered the event. In the meantime the protest multiplied and suddenly it was no longer about the demolition of the park, it was a protest against the government and police brutality. Riot police arrived and set fire to tents, used water cannons and tear gas. The people of Turkey responded in kind. Police placed jammers to prevent internet connection around the square, ensuring 3G networks were blocked for people in the area. Two people died and thousands more were injured. Still, there was silence from the media. While the rest of the world rushed to Taksim Square to broadcast the events, Turskish television was showing cooking shows and broadcasting news updates on “Miss Turkey”. Turskish Prime Minister Recep Tayyip Erdogan ordered a complete media blackout of the event. In fact, this isn’t the first time press freedom has been comprised in Turkey. Human rights groups have repeatedly expressed their concerns for their lack of freedom of press. It is only now that the rest of the world is seeing how repressed the citizens of Turkey are. Even with no local media coverage, thousands of people showed up to protest. Many Turkish citizens took to social media to spread word of what was happening. Social media became a vital organisational and informational tool. People took to Facebook and Twitter, and set up blogs to document the protest. The hashtags #direngezipark1 and #occupygezi went completely viral on the Twitterverse. 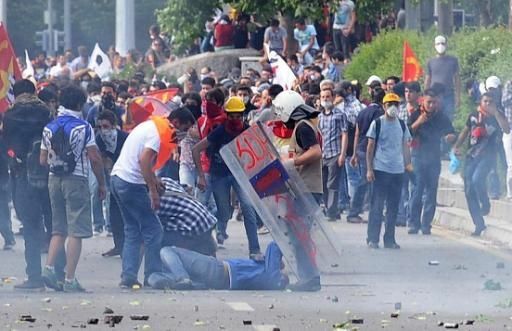 According to a study from New York University, on 1 June there were more than 3,000 tweets about the protest every minute – 90% coming from Turkey itself. Erdogan expressed his frustration with not being able to control the backlash on social media by stating “right now, of course, there is a curse called Twitter…all forms of lies are there,”. Ironically, Erdogan has more than 2.7 million followers on Twitter. Somebody should have told him that when you try and silence the people, they will shout louder…especially on Twitter. This code has been challenged consistently over time and still remains a topic of interest in the industry. Journalist protection has often been comprised by what appears to be overriding public interest, such as law enforcement, national security or commercial confidentiality. We’ve seen journalists so adamant in protecting the confidentiality of their sources that they have served prison time. One of the most famous cases was in 1972 a reporter for the Los Angeles Times spent six weeks in gaol for refusing to identify confidential sources in an article he wrote during the Charles Manson murder trial. Even today Fairfax’s Adele Ferguson, the author of the book about mining tycoon Gina Rinehart, is being taken to court by Rinehart in an attempt to force Ferguson to name her sources. The impact this will have on the industry is massive. The quality and quantity of great stories could drop considerably if people stopped coming forward with information in fear of having their identity revealed. Consequently, journalists wouldn’t be able to report on important stories that the public deserve to know. We love the exciting world of journalism that challenges governments, people and corporations, reporting on stories that confront us and test what we already know and believe. We respect and fully support journalists who act ethically and responsibility and wish them nothing but luck and support during this challenging time.